The Platform for Advanced Scientific Computing (PASC) Conference is an interdisciplinary conference in HPC that brings together domain science, applied mathematics and computer science – where computer science is focused on enabling the realization of scientific computation. The PASC Conference provides three days of stimulating and thought-provoking technical sessions, including keynote presentations, minisymposia, peer-reviewed papers, panels and poster sessions. The conference is co-sponsored by ACM SIGHPC, and full papers are published in the ACM Digital Library. The program will also provide an exhibition space. 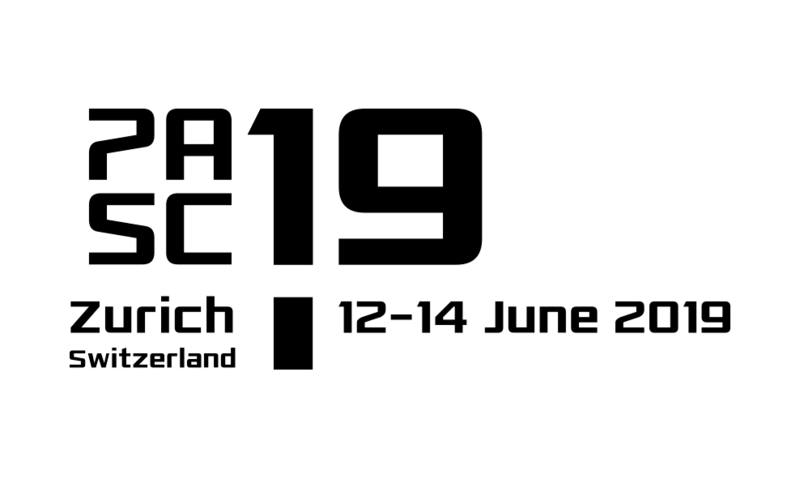 The next conference PASC19 will be held from June 12 to 14, 2019 at the ETH Zurich, located in Zurich, Switzerland. The Swiss Platform for Advanced Scientific Computing (PASC) is a structuring project jointly supported by the Swiss University Conference (SUK) and the Council of Federal Institutes of Technology (ETH Rat). PASC is coordinated by the Università della Svizzera italiana (USI) in collaboration with the Swiss National Supercomputing Center (CSCS) of the ETH Zurich, together with the other Swiss universities and the EPFL.